As we enter the warm season of spring in Barcelona, the city becomes a playground for tourists and locals alike. If you are planning a trip to the Catalan capital in the coming months, the options for exciting activities during your stay are endless. There are also many springtime day trips to Barcelona’s nearby towns which are well worth checking out! Whether you are traveling as a family, a couple, a group of friends, or even colleagues on a business trip, you will find plenty to do in this wonderful city. From museums to tours, and from beaches to mountains, discover an array of activities – a few of which we list below – and make the most of Gaudí’s city this spring. Las Ramblas, one of the most famous streets in Barcelona, is always bustling with action, and it is a must-see for those visiting the city at any time of the year. 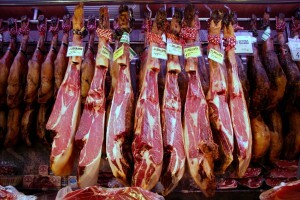 But, about half way down the strip, you will also find one of Barcelona’s finest gems, La Boqueria Market. Once you enter this amazing building, you will be immersed in a fresh food paradise that offers all types of fruits and vegetables, along with spices, meat, fish, eggs, and much more. Snag a smoothie or freshly squeezed juice as you meander through the market stalls, or even stop for a snack at one of the many tapas bars located inside the market. For those with a sweet tooth, take a peek at the chocolate booths, displaying a mouth-watering assortment of chocolates, candy and licorice. If you are staying in one of the many Barcelona apartments near Las Ramblas, you might like to avoid the restaurants for one night and take a stroll through La Boqueria. Even those who aren’t the biggest fans of cooking may find themselves inspired by this magnificent cultural pearl, and with the spring season in full bloom, there may be no better time to head to the market, stock up on fresh ingredients and cook your own ‘primavera’ dish. 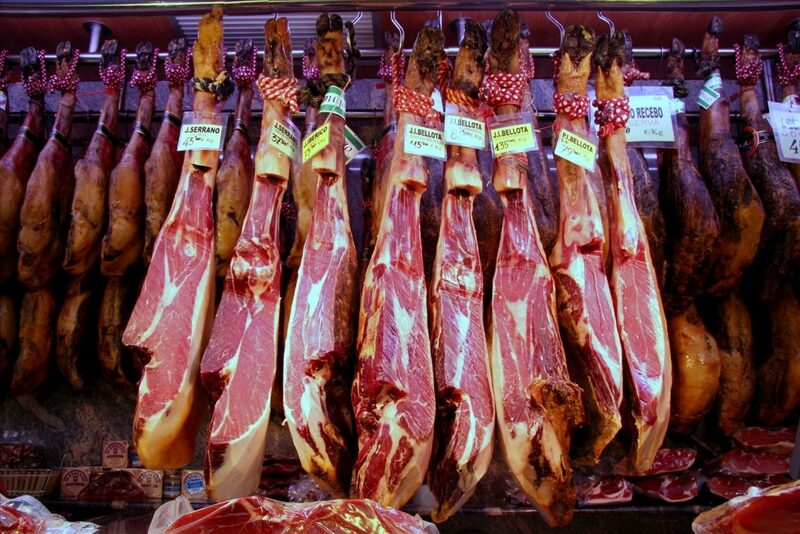 Check out our post on the Catalan culinary delights of spring, for more ideas on how to best enjoy this season’s delicacies in Barcelona. 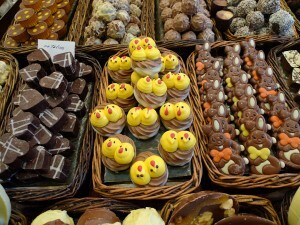 Barcelona has so much to offer, especially in springtime, it is often hard to discover it all in a couple of days. That is, if you’re walking. 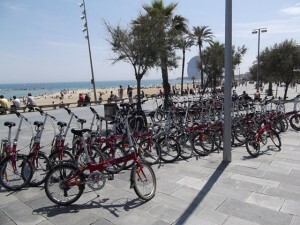 This season, take advantage of the lovely Barcelona weather, and rent a bicycle instead! Bikingaround the city is convenient, environmentally friendly, and of course, a fun experience. Many companies offer bike rentals either by the hour or by the day, and some of the better known rental companies include Budget Bikes, Barcelona Biking, and Barcelona Rent-a-Bike. A Barcelona bike tour is not only a healthy alternative, but another way to get around the city while experiencing some of the more hidden gems of the Catalan capital. If you prefer taking a guided bike tour, companies that specialize in these include: Fat Tire Bike Tours and Barcelona by Bike. And, if you would like to try something a little different, take a look at Steel Donkey Bike Tours, a company which offers a unique view of the city by bike, with no two tours the same! This spring, take some time to soak up the sun while getting a great work out, pedaling all across town. 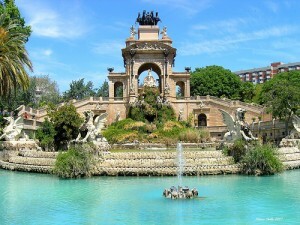 This beautiful park is the perfect place to spend a sunny spring day in Barcelona. Located right in front of the Arc de Triomf, just off the Metro L1, Parc de la Ciutadella has it all. Here,people of all ages can be seen running, walking, sunbathing, picnicking, and touring this green zone amidst Barcelona’s city centre. The park is a fantastic place to explore in springtime, not only due to its areas of lush vegetation, but also as there are plenty of things to see and do, ideal for those visiting Barcelona as a family. Rent a rowboat on the lake, take in the plethora of statues and fountains, or have a stroll around the Modern Art Museum of Catalonia and the Geology Museum, both of which can be found nearby. The Parc de la Ciutadella is also home to the Barcelona Zoo, which has a wide variety of exotic animals from penguins to giraffes, as well as activities and demonstrations for children! Whether you’re hitting the bikes, or relaxing in the park, you are certain to enjoy Barcelona to the fullest this season. Don’t forget that this wonderful city is home to some of the most famous museums in Europe, and there are plenty more outdoor tours and visits to discover. You can even head out to the edge of the city for a hot-air balloon ride, or up to Mount Tibidabo and spend a few hours at the amusement park! Whatever you choose, you will be sure to find an activity that’s perfect for you this spring in Barcelona.